Wednesday Photograph: life .. & FLAMINGOS!! so, what do Flamingos have to do with Life? just look at them! so gorgeously ALIVE with color & pizazzz… not clingy at all, at all! & then, aren’t we glad to be alive to see them – is that not a gift from God? …& are we not So Very Grateful for this gift? If not, start being grateful. 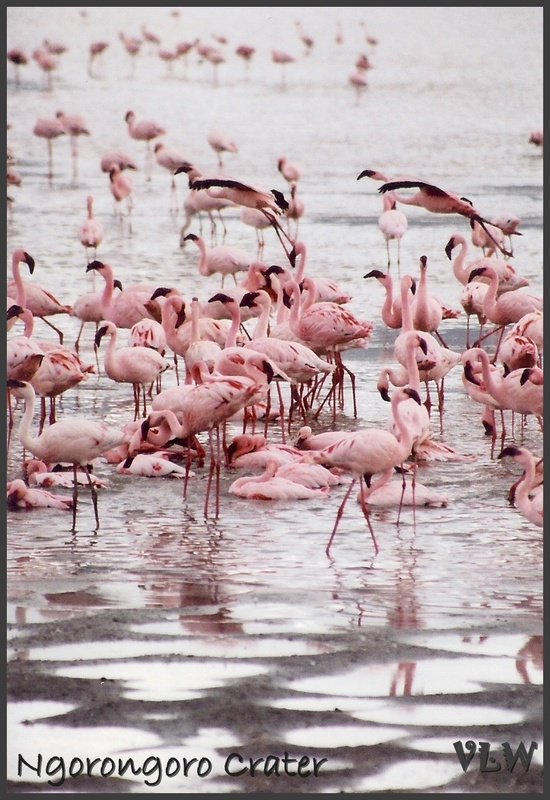 This entry was posted in Lent, SNAPSHOTS & WHATNOTS and tagged flamingos, Henri Nouwen, Inspirational photographs, inspirational quotes, Lent, LIFE, nature, Ngorongoro Crater, photography. Bookmark the permalink. 4 Responses to Wednesday Photograph: life .. & FLAMINGOS!! That was one of the most amazing trips! .. & Ngorongoro Crater was unbelievably beautiful. i did rather like these flamingos (hence all the photos : ) Thanx Cin! Love those flamingos, Virginia! Wow! They were really amazing, like there were LOTS & LOTS of them hanging out. ‘Twas so fun to just stop & watch them for awhile! .. Thanx, Sharron..